An investigation into how two Brits were exposed to a military-grade nerve agent will take "weeks and months to complete" due to "the unique challenges involved", police said on Friday. "The focus of the investigation remains identifying the source of the contamination as quickly as possible," their statement continued. On Thursday the UK demanded that Russia provide details about the Novichok nerve agent attack on a former double agent and his daughter, since the two British citizens were struck down with the same poison. The pair became critically ill after handling a contaminated item near the site of the March attack on Sergei and Yulia Skripal, according to police. Russia, which is currently hosting the football World Cup, has denied any involvement in the March incident and suggested the British security services had carried out the attack to stoke anti-Moscow hysteria. Here's everything we know so far about the latest incident. The pair have not been formally identified by police. 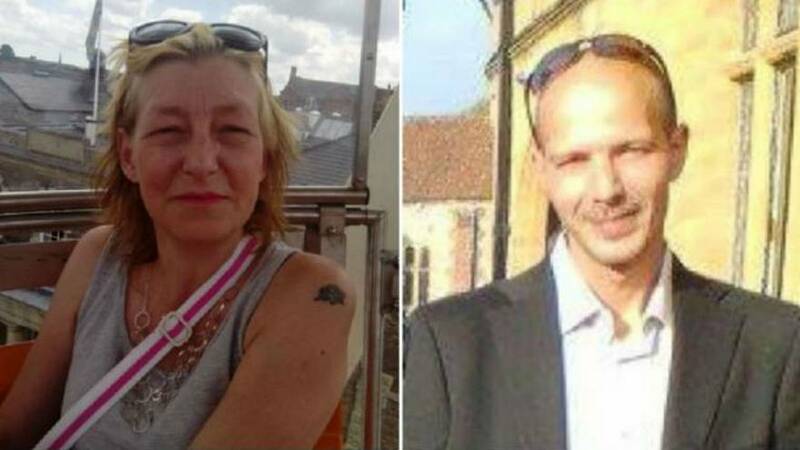 However, an acquaintance told Euronews they were Charlie Rowley, 45, and Dawn Sturgess, 44. Both are British and local to the area. They first listed on Facebook that they were in a relationship in February 2017. Sturgess recorded her hometown as Durrington, a few kilometres from Amesbury. Emergency services were called to a house in Amesbury around 10:15am on Saturday morning after Sturgess collapsed. Around five hours later they returned to the same address where Rowley had become ill. Both are in a critical condition in Salisbury hospital. Police initially suspected that they may have taken contaminated drugs but doctors became increasingly puzzled by their condition and sent samples for specialist analysis on Monday. The results of those tests were made public on Wednesday, showing that the pair had been exposed to Novichok. Police said they could not confirm whether the chemical was from the same batch used in the previous poisoning. Novichok chemical weapons have been in the headlines since March when it was revealed they had been used to poison Sergei Skripal, a former Russian double agent who had sought refuge to Britain after being released from prison in a spy swap. Originally developed during the cold war, the latest Novichok agents are some of the most deadly chemical weapons ever created. They may have been first used in the 1995 assassination of a Russian banker. The agents work by impeding the function of nerves and effectively turning the body against itself. Under an international agreement in 1997, almost all nations agreed to destroy all such weapons, with exceptions only for small samples used for research purposes. Russia says it has fully complied with the deal. Where did the incidents happen? The couple were picked up by the emergency services at a home they shared in Amesbury, around 14km from Salisbury, where Yulia and Sergei Skripal were found unconscious. Police sealed off a number of sites the pair had recently visited including a park and property in Salisbury itself. The research facility, Porton Down, where the UK's top scientists with expertise in chemical weapons are based, is around 10km from Salisbury. What happened to the Skipals? Skripal, 66, and his daughter Yulia were found unconscious on a bench in Salisbury on March 4. The pair were in a critical condition for weeks with doctors at one point fearing that even if they survived, they might suffer brain damage. However, their health improved rapidly and Yulia was discharged from hospital in April followed by her father weeks later. She said she hoped to eventually return to Russia. Who was behind the first attack? Britain accused Russia of being behind the nerve agent attack on the Skripals, leading to a diplomatic dispute in which more than 20 countries, including Germany, France and the US, expelled some 100 Russian diplomats in a show of support. The UK foreign office said only Moscow had the motive and the means to conduct such a complex operation. Moscow repeatedly denied any involvement in the incident, with President Vladimir Putin saying that if a weapons-grade nerve agent had been used on Sergei Skripal, he would be dead. Russia even suggested that Britain may have carried out the attack itself to stoke anti-Russian hysteria. Unlike the Skripals, Rowley and Sturgess do not appear to have any ties to Moscow, and authorities say there’s no evidence that the two were specifically targeted. Britain’s most senior counter-terrorism officer Neil Basu told reporters that officers were looking into whether the two incidents are linked. In a tweet, the Russian Embassy in the Netherlands hit out at any suggestion that Russia was involved in the latest incident. “How dumb they think [Russia] is to use ‘again’ so-called ‘novichok’ in the middle of the Fifa World Cup and after the special session of the CSP (convened by the way by [the UK] that gave the OPCW attribution functions. The show must go on?”, the embassy wrote. The CSP refers to the the Convention of State Parties to the Chemical Weapons Convention, held by the Organisation for the Prohibition of Chemical Weapons. British Prime Minister Theresa May, speaking alongside Chancellor Angela Merkel during a visit to Berlin, said it was “deeply disturbing” that two more people had been exposed to Novichok, adding her thoughts were with the people of the area. Interior minister Sajid Javid said the substance that the two people were exposed to was the same variant of Novichok that struck down the Skripals. He added that the UK had not had any cooperation from Russia on the latest poisoning and said with all eyes on the country because of the World Cup, it was "time for Russian state to explain what has gone on". The Kremlin said Russia had offered Britain its assistance in investigating the nerve agent attack and had been rebuffed.